I found a shady spot enjoyed by several cattle. It's a small tree but casts enough of a shadow to offer confort on a hot day. This is 12 X 9, oil on linen, with just a few additions to add when it dries a bit. This is a private beach in Newport, Rhode Island, a place I get to visit frequently. It's different every time, beautiful to observe as the sea and sky change. The beach is all stones, each polished and rounded from eons of washing and movement. It's not for sale, but a gift for a friend, and I just wanted to show it to you. This lighthouse is a fun place to visit, especially on a day with high surf. It's at the south end of Jamestown, RI, at the west edge of the Newport Harbor entrance. Here is a finished view of Sachuest Point Park in Newport, RI. I'm happy with it! There's a bench near the southern tip of the park and trail, on the east side, so this view is as one would be looking to the northeast. It's a lovely place to walk, and the rocky coast offers many interesting vistas. 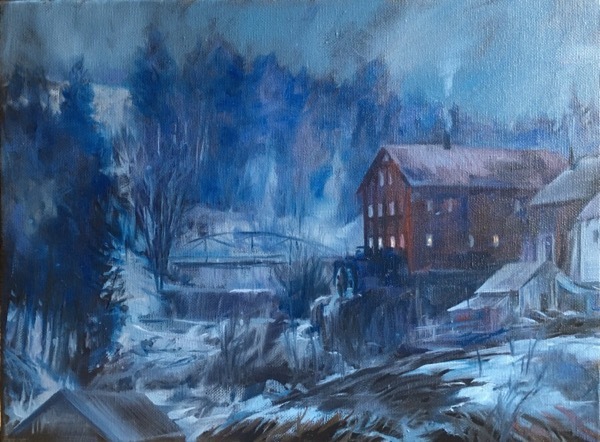 I'll be making many more oil paintings from this park, both plain aire and studio pieces. A fine start of a 12" by 24" oil of a private beach view, on the east side of Newport, RI. There's more to do once it dries, but I'm happy with this image. 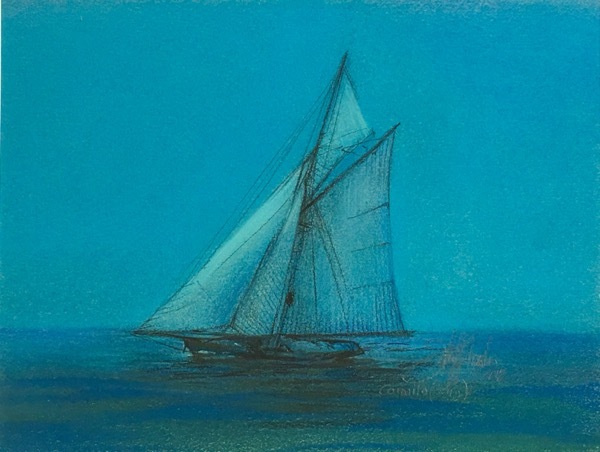 Another classic yacht is here portrayed in beautiful nocturne colors. 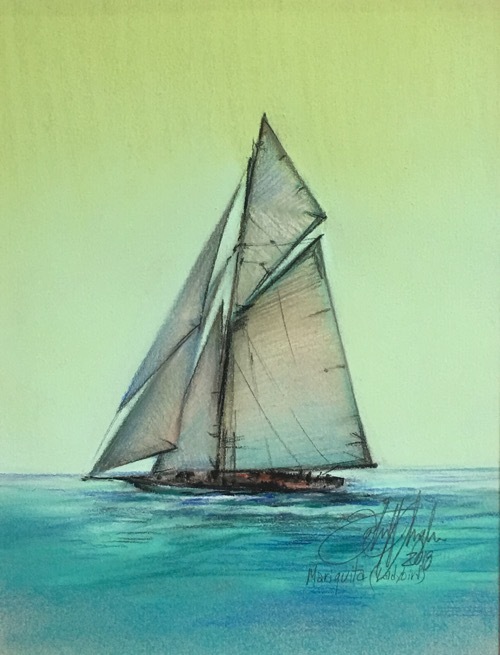 The Mariquita (Ladybug), a classic racing yacht, from an old photo, now as a colorful pastel. 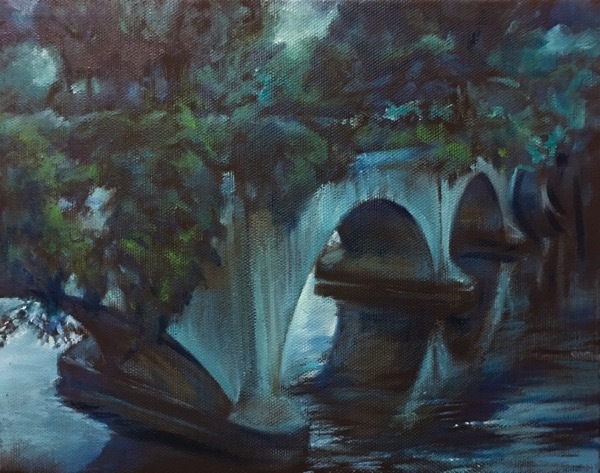 A King's Cup champion, this 19 meter classic beauty is portrayed here in exaggerated late afternoon colors. 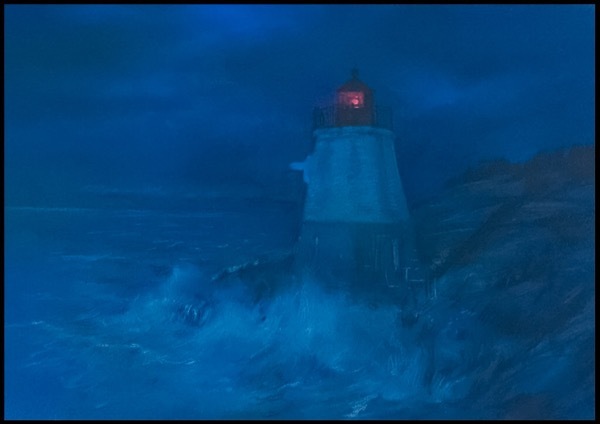 As a nocturne we can see the red warning beacon of the Castle Hill Lighthouse, and being situated so close to the water, it's easy to imagine violent waves and tough weather along the rocky coast. 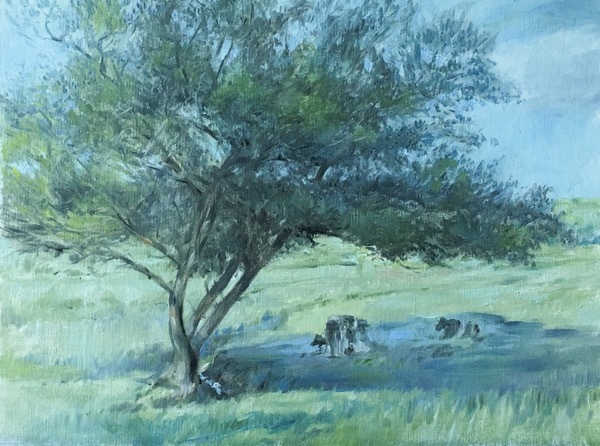 This small pastel is available through the Sheldon Fine Art Gallery at Bowen's Wharf in Newport, RI. This is an underpainting and a good start for a view at Sachuest Point Park in Newport, RI. See above for the more developed image. There's a bench near the southern tip of the park and trail, on the east side, so this view is as one would be looking to the northeast. I plan to add a few more details to this one, but will keep the existing color scheme. I'll make another similar painting with more green and natural colors, but I love this fall looking contrast of orange and blues. Perhaps the trees and grasses would turn this color after a hurricane sprays saltwater. I've seen that kind of salt burn along the coastal vegetation in North Carolina after a bad storm. It takes a while, but returns to green in time.